Are you worried about leaving your family with unpaid bills? The average funeral will cost around £6,800, and 50% of UK adults have made no provision for this. Get guaranteed acceptance to an Over 50s Life Insurance plan and ensure your loved ones will receive a fixed cash lump sum. Planning ahead for the time when you are no longer around to support your family makes sense - not only for their sake but also for your own peace of mind. By providing your personal details you agree for Shepherds Mutual Solutions, who are the company providing the answers to your questions, to contact you. 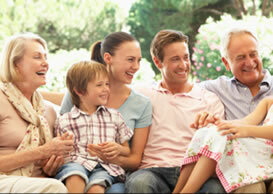 What is a Over 50s Life Insurance? There are now specific insurance plans designed for those aged over 50 which will provide a cash lump sum that will be invaluable for your loved ones to make funeral arrangements and take care of any outstanding financial commitments at what would inevitably be a very stressful time. Such plans do not guarantee every cost will be covered but can cover much of a typical funeral cost. With many of these Over 50's life insurance plans there is no medical required, no lengthy health questions to answer and, if you're aged between 50 and 75, acceptance for a plan is usually guaranteed. You can set a fixed monthly premium to provide the value of the lump sum you feel your family would need and that premium is guarantee never to rise during the life of the plan. While none of us likes to think about our own mortality, the fact is that when the time comes your loved ones can be faced with a considerable financial outlay; so now could be a good time to consider an Over 50's life plan knowing that you'll leave them one less thing to worry about during a difficult time.